New Neighborhood and WTaps in Store 6.2.11. Neighborhood B.I. Jackson Shirt. Available in Black. Neighborhood Original Fake. Savage T-Shirt. Available in White and Black. Neighborhood Original Fake. Skull & Bones T-Shirt. Available in White and Black. Neighborhood Filth & Fury T-Shirt. Available in White, Black Top, and Black. Neighborhood Authentic T-Shirt. Available in Black Top and Black. Neighborhood Crazy Horse T-Shirt. Available in Black. Neighborhood B.K.I. 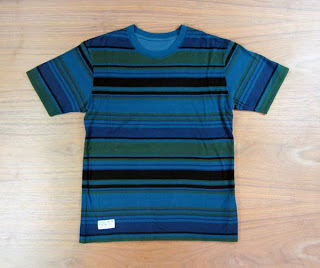 NH CO T-Shirt. Available in Black. Neighborhood Magazine Volume 7. WTaps Blues Skinny Trash Denim. Available in Indigo. WTaps Polo Short Sleeve Shirt. Available in Grey. 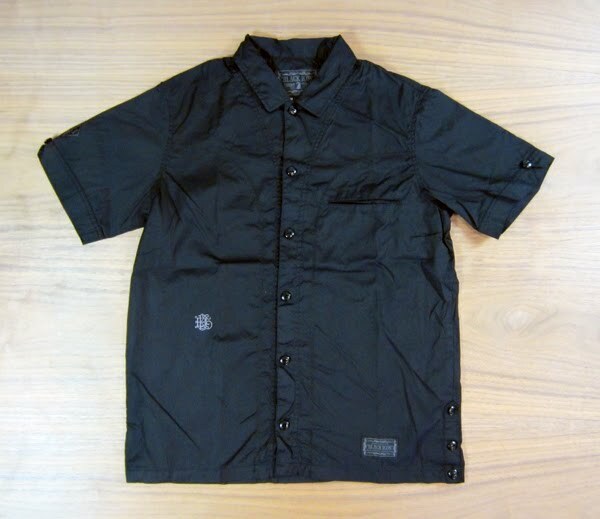 WTaps Makaha Short Sleeve Shirt. Available in Blue and Grey. WTaps Soda Short Sleeve Shirt. Available in Brown and Blue. WTaps Design Short Sleeve Shirt. Available in Green. WTaps College Shorts. Available in Beige and Black. WTaps Stand Strong Japan Relief T-Shirt. Available in Black. WTaps Heraldry T-Shirt. Available in White and Black. WTaps Lightning Bolt T-Shirt. Available in White and Black. WTaps Cross T-Shirt. Available in White and Black. WTaps College T-Shirt. Available in White, Navy and Black. WTaps Blues T-Shirt. Available in White, Navy and Black. WTaps Shoulder Camera Bag. Available in Black. WTaps Shoulder Bag. Available in Olive Drab and Black. WTaps Bandaria. Available in Beige and Olive Drab.